Here's your guide to the locations of all the Jack Hall gang treasure maps in Red Dead Redemption 2. The Jack Hall gang treasure mission is just one of several treasure quests in Red Dead Redemption 2, but it can be tough to complete. 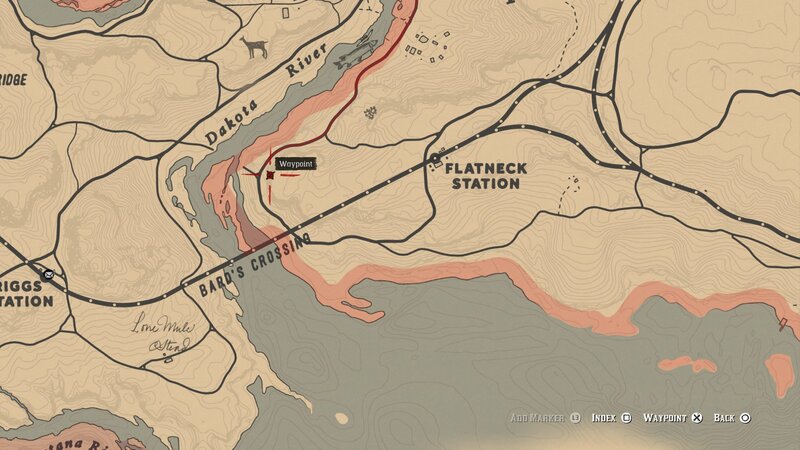 In this Red Dead Redemption 2 Jack Hall gang treasure guide, we'll be doing exactly that, leading you through to the locations of all the buried treasure around the map. If you need anything else at all on Rockstar’s latest game, head over to our Red Dead Redemption 2 guides hub. Here you can find tips and tricks, a beginner’s guide, and more. To kick off this entire quest line, you’ll want to meet Maximo, who can be found early on in Red Dead Redemption 2 just west of Flatneck Station. At roughly the map point just below, you can interact with Maximo and purchase the first Jack Hall gang treasure map for $10. Now you have kicked off the Jack Hall Gang Treasure Map quests in Red Dead Redemption 2, you'll need to find three hidden stashes of treasure. 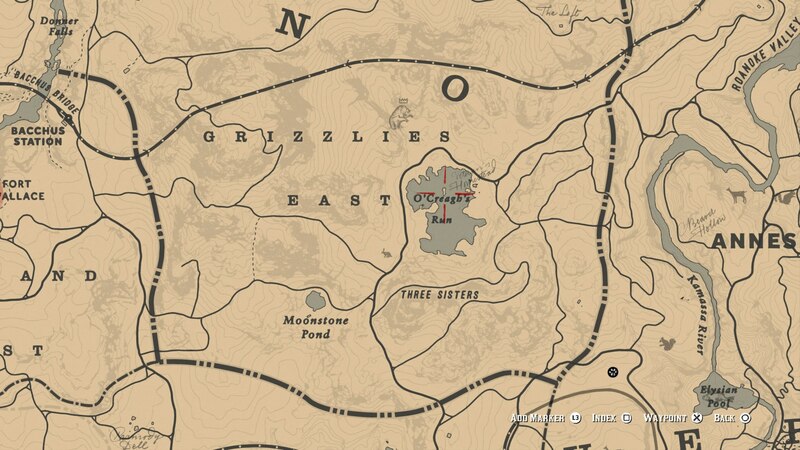 We've got all three Jack Hall Gang treasure map locations for you, so follow this guide and you'll find all three locations in no time at all. Next, you’re off to a location just south of Valentine, called Caliban’s Seat. 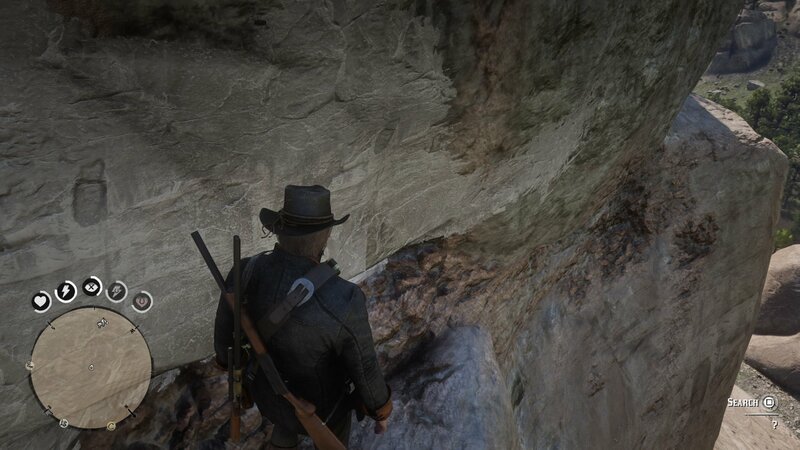 Climb up all the way to the very top of the rock, leaving your horse behind, until you're facing an abandoned camp. Now look to your right, and you can find a path that slopes downwards. Follow this path all the way to the very end, and you can search for a unique pearl necklace. Not only this, but you’ll now have obtained the second Jack Hall treasure map, this time without having to shell out $10. The location of the first Jack Hall gang treasure. 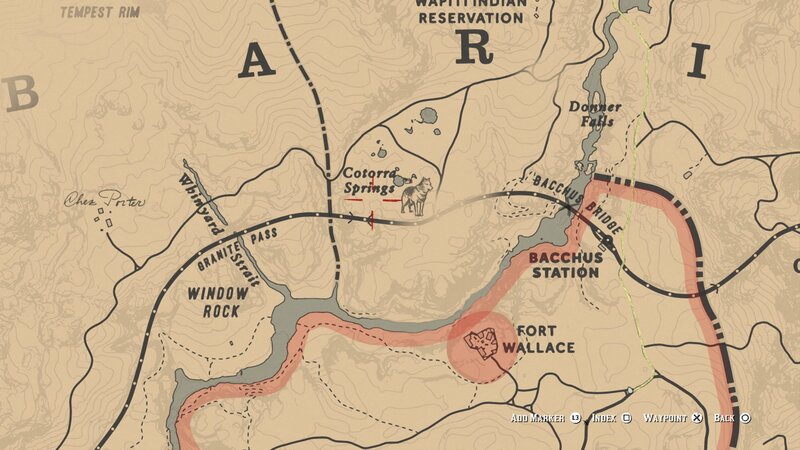 With the second map in hand, it’s time to head to Cotorra Springs, which lies just to the north and slightly west of Fort Wallace. If you want to get there quickly, head to the nearest post office, and purchase a train ticket to Bacchus Station. The location of the second Jack Hall gang treasure. You need to position yourself so you’re north of the train tracks, and have a small pool of water lying to your northeast. 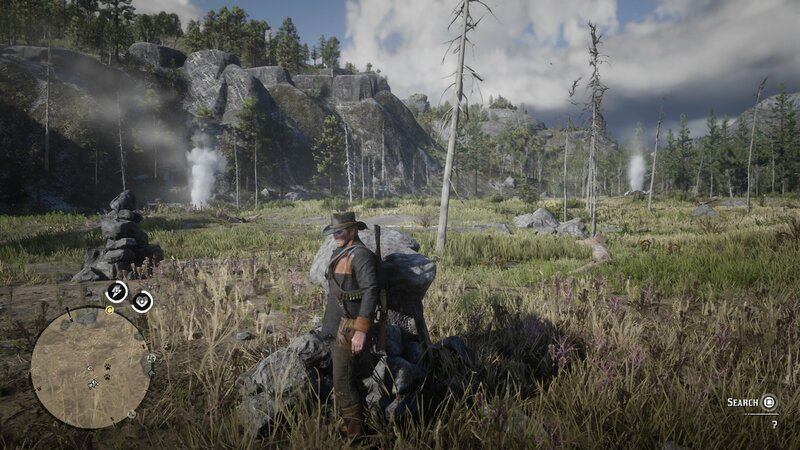 In a small clearing there’s a pile of rocks, and it’s at the end of this small pile of rocks that you can find the third Jack Hall gang treasure map. Once you’ve obtained the third map in the Jack Hall series, you need to head to the Grizzlies East on the map, or more specifically, to O’Creagh’s Run. You want to make it to the tiny island that lies right in the middle of the lake. The location of the third Jack Hall gang treasure map location. 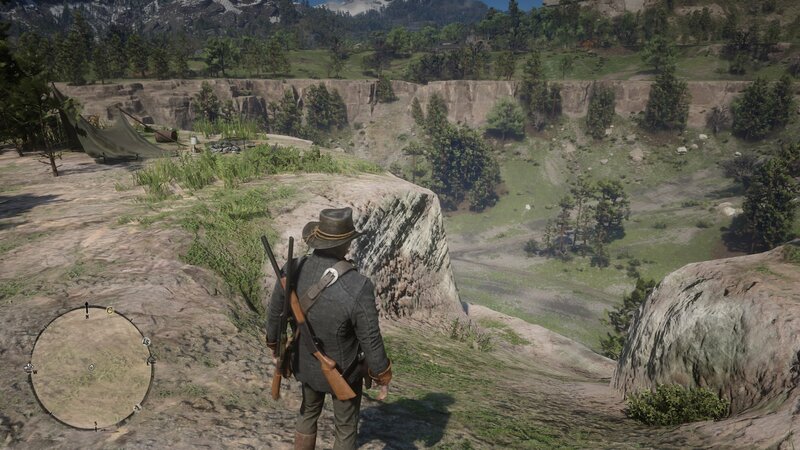 Go to the south side of the island, and you can uncover two gold bars, a rarity in Red Dead Redemption 2. Take them to a Fence (your nearest is Emerald Ranch), and you can sell them for $500 each. Not bad at all. With the gold bars found and sold, the Jack Hall gang treasure series is concluded. 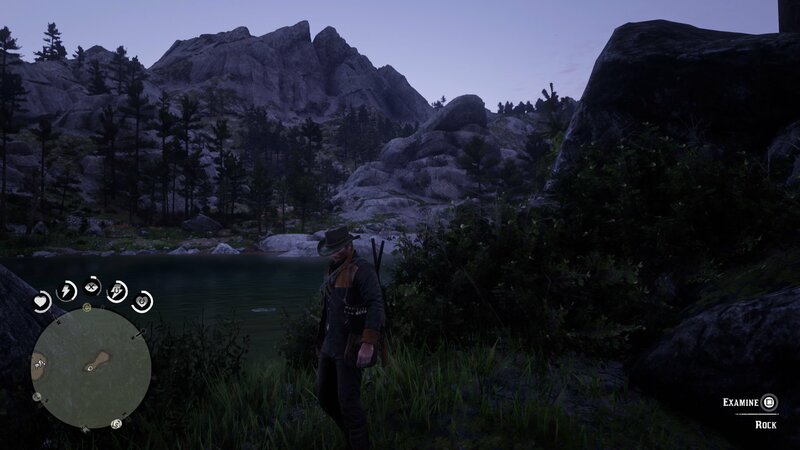 You can now head over to our Red Dead Redemption 2 legendary fish guide, or our Red Dead Redemption 2 cheat codes guide for more.